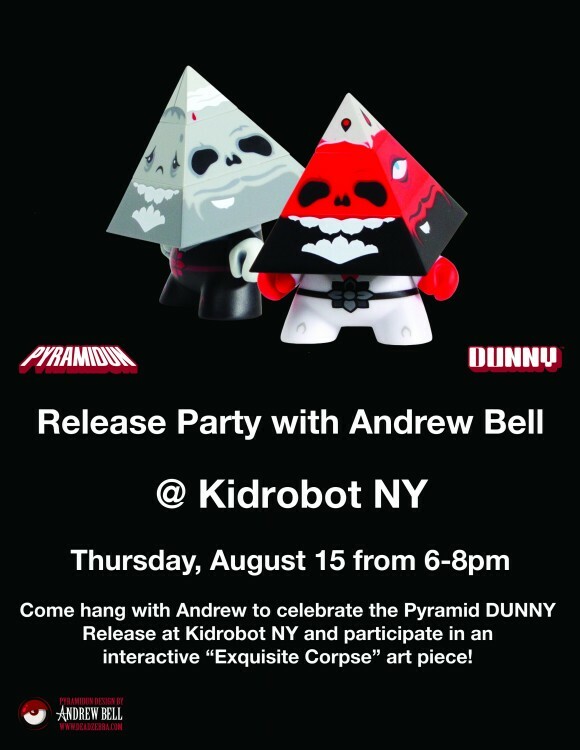 Come to Kidrobot New York this Thursday, August 15 from 6-8pm for a very unique and interactive event with Mr. Andrew Bell himself! In addition to the signing event as part of release day, we will also be hosting a collaborative community art event! Bring your favorite ink, your personal preference of paper poundage and be ready to put your creativity to fun use! We will have a variety of art paper and ink for you as well so come and develop your own collab with the artist! Be sure to document the night with Instagram pics and video to share with other fans! Andrew and Kidrobot have also created TWELVE exclusive prints for the event! New York, LA, Miami, Vegas, San Fran, Boulder and Kidrobot.com will have a portion of different prints, so not all stores will have the same prints! 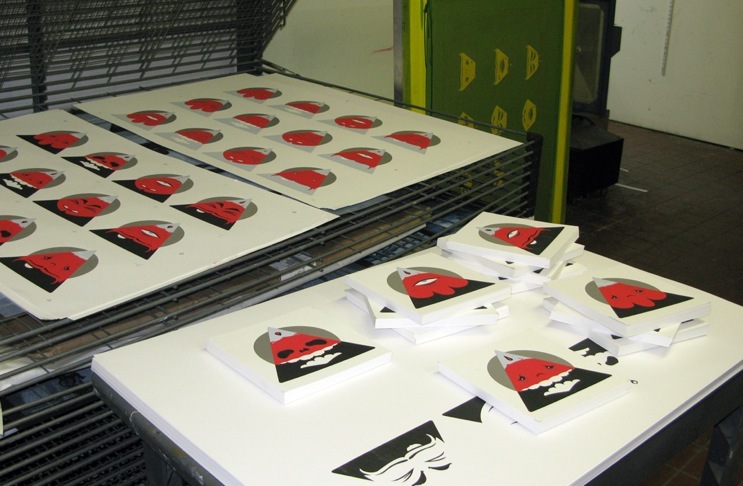 Each print is a gift with purchase, blind and limited edition, so get there early to score your own! “Exquisite corpse”, also known as exquisite cadaver or rotating corpse is a method by which a collection of words or images is collectively assembled. Each collaborator adds to a composition in sequence, either by following a rule (e.g. “The adjective noun adverb verb the adjective noun”) or by being allowed to see the end of what the previous person contributed. The technique was invented by Surrealists and is similar to an old parlor game called Consequences in which players write in turn on a sheet of paper, fold it to conceal part of the writing, and then pass it to the next player for a further contribution. Surrealism principal founder André Breton reported that it started in fun, but became playful and eventually enriching.